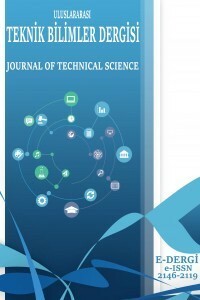 Suleyman Demirel University ‘The Journal of Technical Sciences’ is a international refereed electronical journal that has constituted on 2009. The journal has been published regularly as two issues per year since 2010. Collected articles besides spesific research articles on technical and practised sciences are accepted by the journal. The all manuscripts are evaluated by the referees and the editor. The names of the referees are not given to the authors and the names of authors are not given to referrees also. The journal accepts manuscripts written in turkish generally.